We are now back from Monte Carlo – and Nothing Bust! 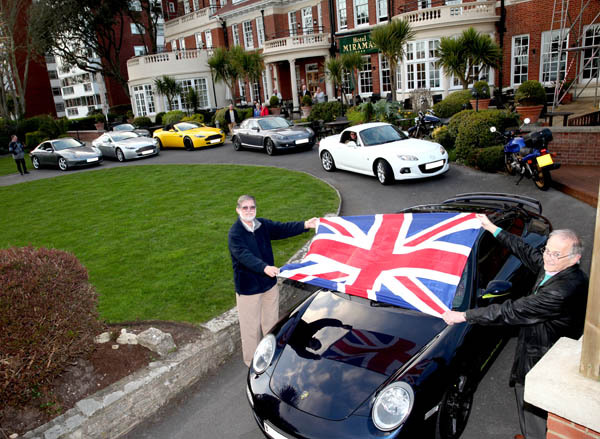 On 12th April, 2015, 7 sports cars roared out of Bournemouth bound for Monte Carlo to arrive in time for the opening of a very special motor show. Flagged away from the Hotel Miramar on the East Cliff by the Deputy Mayor of Bournemouth, Cllr Dr Rod Cooper, the hotel’s General Manager Mr David Bailey and long-time Helluvit Member David Acott, the magnificent seven sports cars set off on a 2,000 mile round trip that would take in Troyes, Macon, Nice, Monte Carlo, the viaduct at Millau, Clermont Ferrand and Le Mans. The organisers planned the run to mark the 10th Anniversary of the foundation of the free-to-join Helluvit Sports Car Club. The run was dedicated to Helluvit member Colin Jones, also known as “C.J”, a lifelong Aston Martin, Jaguar and British motorbike fan, who sadly passed away on 26th November last year after a short illness. The run was designed to arrive in time for participants to attend the Top Marques Monaco Luxury and Supercar Show on 16th April. This year, the show was opened by HRH Prince Albert of Monaco and some of the Helluvit Run participants were able to meet and have their photograph taken with him. He was impressed that the Helluvit crew had travelled over 800 miles to be at the Top Marques show. 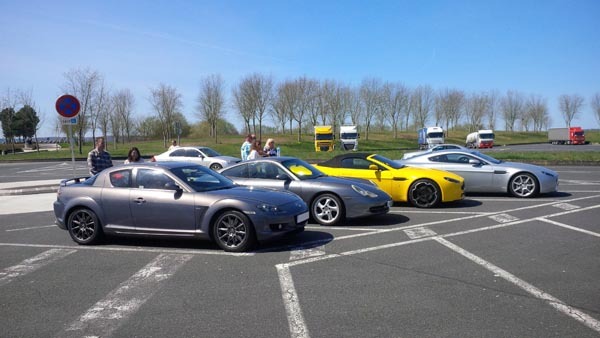 Vehicles taking part in the run included an Aston Martin Vantage convertible, an Aston Martin Vantage coupe, a Nissan GTR, a Mazda MX5, a Mazda RX8 PZ, a BMW Z4 and a Porsche 911 Carrera (with a very noisy new sports exhaust). Sampling ice creams and champagne in the original capital of the champagne region, Troyes. Driving some sublime roads and often maintaining average speeds of about 80 mph (in keeping with France’s national speed limit, of course). Seafood extravaganzas and more ice creams in Nice, where flavours included rose, bubblegum, olive and poppy. Attending the Top Marques Monaco Luxury and Supercar Show in Monte Carlo, where the group viewed some really weird and wonderful super- and hypercars in the Grimaldi Forum exhibition space. Some of the group enacted their Grand Prix fantasies by driving around the Formula 1 race circuit, with spectator grandstands and crash barriers already in place for the forthcoming race in May. The cars sounded nicely fruity as they drove through the famous tunnel and around the road circuit. Driving over the Millau Viaduct, which is the tallest bridge in the world, (one mast rises to 343 metres above the base of the structure). Designed by British architect Sir Norman Foster, the viaduct opened to traffic on 16th December, 2004. It has often been ranked as one of the greatest engineering achievements of all time and one of the wonders of the modern world. So impressed by the bridge were some of the Helluvit Run participants that they drove over it several times, in different directions! The club is already looking ahead to organising some more overseas adventures in the coming years and there has been talk of a trip to Spa, a return trip to Le Mans, a drive around the formidable Nurburgring circuit and most exciting of all, a run to the home of Ferrari, Lamborghini, Pagani and Ducati via the driver’s road of all drivers’ roads, the formidable Stelvio Pass. Start saving now….. The road run was not-for-profit and aimed to raise funds for Marie Curie cancer charity. Anyone able to do so may make a donation direct to Marie Curie Cancer Care (www.mariecurie.org.uk ). Drive from Bournemouth to Portsmouth. Ferry from Portsmouth (Departure: 22.45) to Caen (Arrival time: 06.45 hrs). 06.45 Arrival on Ferry at Caen. Drive from Caen to Troyes. Stay at the Ibis Troyes Centre Hotel, Troyes (3 star). Drive from Troyes to Macon. Drive from Macon to Nice. Drive from Nice to Monaco and return to Nice. Entry to Top Marques Monaco. 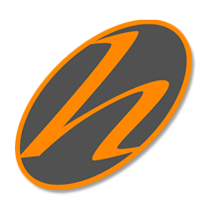 Check out of Nice hotel and drive from Nice to Clermont Ferrand. Stay at the Ibis Clermont Ferrand Montferrand Hotel, Clermont Ferrand (3 star). Drive from Clermont Ferrand to Le Mans. Stay at the Ibis Le Mans Centre Hotel, Le Mans (3 star) – private indoor pay car park. Check out of the Ibis Le Mans Centre Hotel, Le Mans and drive from Le Mans to Caen. Take the Ferry from Caen (Departs: 16.30 hrs) to Portsmouth (Arrives: 21.15 hrs). Drive from Portsmouth to Bournemouth. Fuel costs depended on what everyone was driving! 1. David Jones, Yurie and Kai. (Mazda RX8 PZ). 2. Leigh and Karen (Aston Martin V8 Vantage). 3. Mike Saunders and partner Dawn (Aston Martin V8 Vantage convertible). 4. Jack Jezek and wife. (Nissan R35 GTR). 5. Colin and Ann Goodger. (BMW Z4). 6. Jon Wood and Fiona Broom. (Mazda MX5 Mark 3). 7. Richard Lailey and brother. (Porsche 911 Carrera). This road run was staged as a non-profit, members-only, club activity by the Helluvit Sports Car Club.